Imagine Audio Video has the knowledge and experience to design and install the infrastructure required for a connected home. 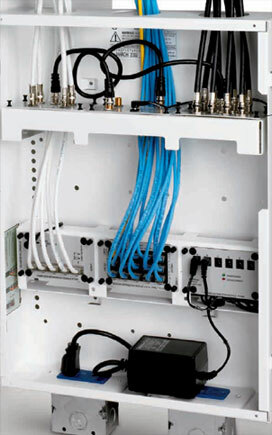 Pre-wiring a home for technology is no longer a luxury, it is a necessity. Whether your looking for something simple like centralized audio video wiring or looking to get a complete security system and home automation controls, Imagine Audio Video has the right solution for your home. We take pride in our workmanship and our installers have the experience to give you professional results. Let Imagine Audio Video help you integrate the most advanced home structured wiring and networking technologies into a simple and affordable solution. © 2004 - 2019 Imagine Audio Video, llc, all rights reserved.